Our collection of arrangements are perfect for pick up sales. Each silk flower arrangement is set in its own vase or ceramic container. 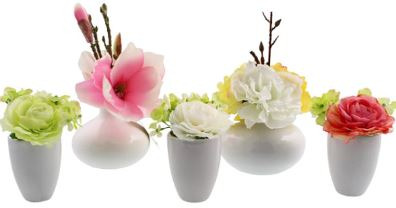 From single flowers set in vases, to plants and mixed flower arrangements, we have designs for every budget. Display the arrangements in groups for maximum impact.